Each year, the Speak Up Research Project for Digital Learning asks K-12 students, parents and educators about the role of technology for learning in and out of school. 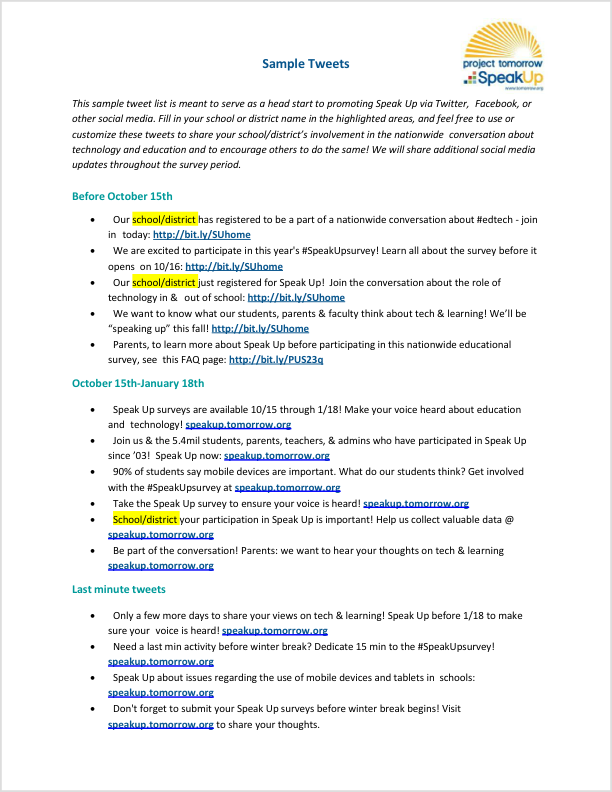 This sample tweet list is meant to serve as a head start to promoting Speak Up registration and participation via Twitter, Facebook, or other social media. Feel free to use or customize any or all of these tweets to share your school/district’s involvement in the nationwide conversation about technology and education and to encourage others to do the same!